It couldn’t be clearer that there’s a squeeze in the cabin for carryon bags. Whether it’s Airbus’ Airspace, Bombardier’s Atmosphère, Zodiac’s ECOS, or any number of other options, airlines now have more supply-side choices — though of course they have had demand-side choices forever. This trend is great for everyone on board — but particularly for business travellers and people in the pointy end of the aircraft. 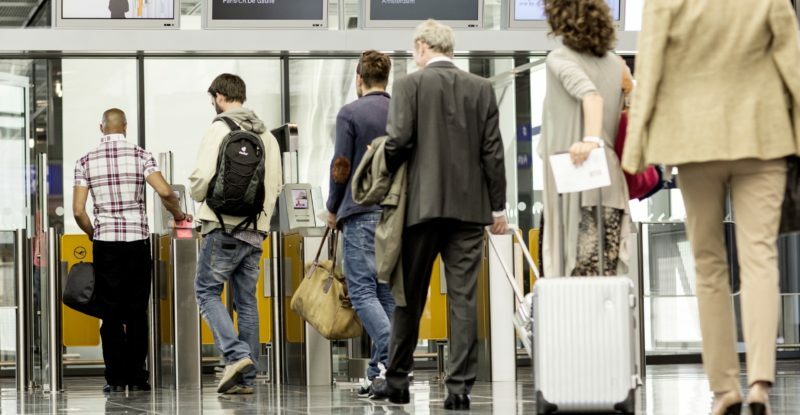 In Europe especially, where business class sections are more dense than in other markets as a result of the Eurobusiness middle-seat-free economy seats, more space will be especially welcome. It feels like the crunch has been getting worse recently, and that airline cost-cutting has made the problems that arise even worse. One example: a recent four-leg business class trip on Lufthansa, Lyon-Munich-Hamburg and returning via Frankfurt. Lufthansa isn’t the only airline to fail in this respect, and I always hesitate to overgeneralise from personal experience, but every single leg had a bag-related problem and the airline’s service recovery struck me as don’t-care, won’t-care, not-my-problem at every stage. In-flight, in fairness, the product was fine and met my expectations: friendly crew, efficient service, tasty light snacks, and a beautiful view of the Swiss Alps on the way to Munich. The problems were all on the ground, on every flight, and related to luggage. 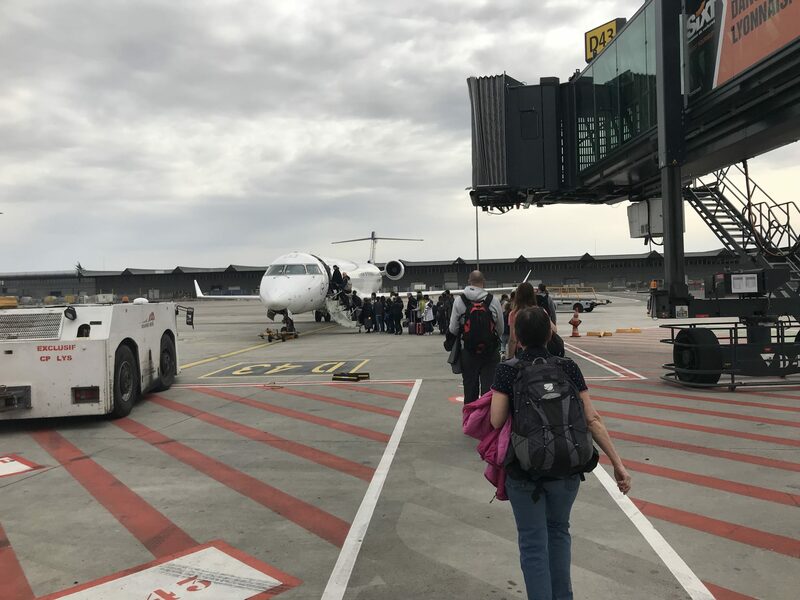 An initial bemusement was boarding my Bombardier CRJ from Lyon to Munich, where I watched as the outsourced ground staff (truly, my home airport has the worst set of third-party contract handlers in the world) failed entirely to make announcements that my outbound flight was on a Bombardier CRJ and that passengers would need to gate-check medium or large hard-sided luggage because it wouldn’t fit in the bins. That’s despite having a sizeable delay timescale to work with — and yes, the flight was always scheduled to be operated by a CRJ. As a result, the lead flight attendant was forced to bellow the information (in three languages, which was impressive) across the tarmac to some ninety passengers as they queued and asked “quoi?”, “what?” or “was?”. My bag ended up crammed under one of the no-neighbour Eurobusiness seats. And that’s not just a #PaxEx pain point: it would not be at all surprising if any number of lithium-ion batteries in those bags went into the hold. Somewhere on my outbound flight, Lufthansa broke one of the wheels off one of my Rimowa cases. Yes, this happens, but the response was disappointing. Airlines have the opportunity to win customer loyalty and approval rather than the approbation that my experience generated. 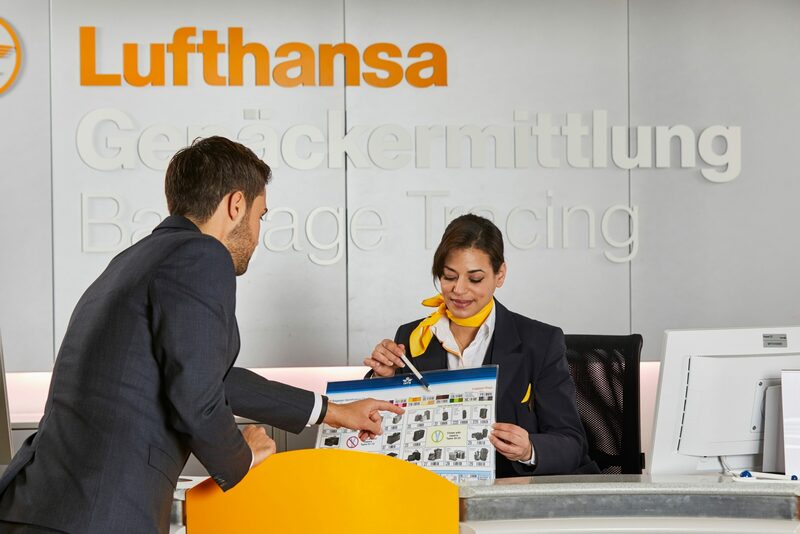 Even in a major Lufthansa port like Hamburg, its baggage counter is outsourced to a third party, who couldn’t give any information about repair policies, directing me to just contact customer services or take it in to a luggage shop on the far side of town that doesn’t open until 10am. The airline’s duty manager, once called, couldn’t give any further information. So I ended up having to roll a broken bag home on three wheels. Once back, trying to find out what the process was for the repair, a baggage customer service agent literally hung up on me when I asked to speak with a supervisor to get clear information. I ended up having to take the bag to the Rimowa shop in Paris during my next trip to get it fixed, cursing Lufthansa’s name at every scrape of the three-wheeled case along the ground. Lufthansa had ample opportunity to take some initiative to fix this problem of their own making — a problem that is hardly rare! — but failed to do so at every turn. And the inconvenience cherry on the frustration sundae is my experience that with even the slightest disruption Frankfurt’s baggage transfer system seems to fall apart. Despite only having a slightly shorter connection than planned owing to some inclement weather, my checked luggage failed to make my connection on the way home — and the process of getting it delivered was a “wait at home all day for your luggage to be delivered” pain in the still-three-wheeled proverbial. And I had to push for that to happen the next day — the outsourced Lyon staffer initially only offered delivery four days later. Knowing Frankfurt, and having had this happen before, I made sure to pack anything I didn’t mind being without for a couple of days in my carryon luggage, prepared to stick it in my hardly ample 32”-pitch legroom, but if I’d had to gatecheck it (as I might well have done given my outbound experience) I’d have been seriously put out to be without my things for four days. Service recovery is crucial when things go wrong, and is often the true test of an airline’s customer service principles. That’s especially true when it comes to bags: my experience with these checked bags and the followups make me significantly less trusting of this airline’s baggage services and less likely to voluntarily gate-check a bag in the event of a full cabin. Airlines wonder why passengers pack the kitchen sink on board. Now more than ever, I understand why. Overhead bin space is increasing…but is it increasing fast enough?